Specially designed for the goalkeeper beginners. 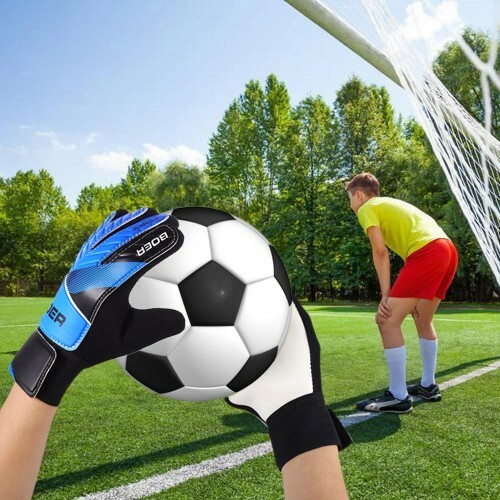 Protect your hands while catching or throwing the soccer! 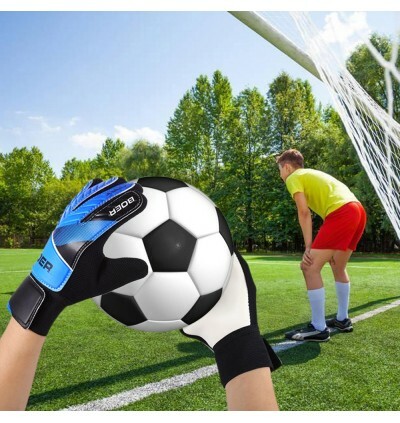 Wear this super BOER Child Goalkeeper Gloves which is good to improve grip friction and stress area for griping soccer easily and protecting your knuckles from external force impact. 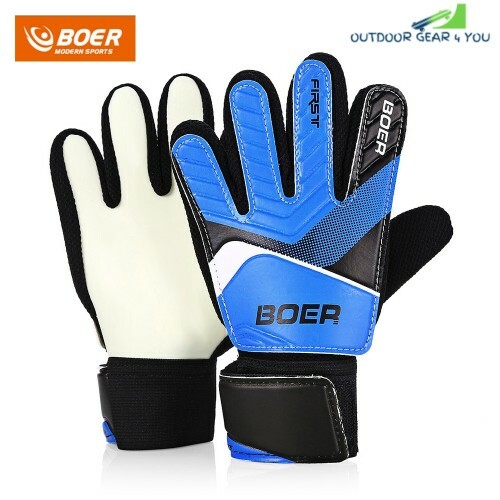 - Specially designed for the goalkeeper beginners. - Perfectly fitting: a good combination of both roll-finger and ergonomic design, boost the good ball contact. - Anti-skid design: improve the grip friction and beneficial to grip the soccer, protect your hands from hurting. - Rubber material: provides good durability and soft comfortable hand feeling to the goalkeepers. Appropriate for all weather conditions.